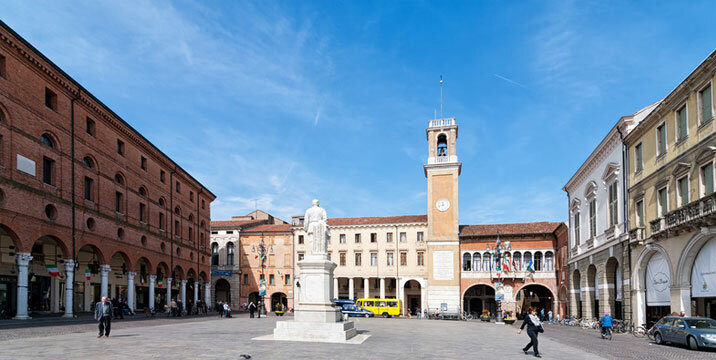 You find yourself in one of the many squares in the centre of Rovigo, the ancient Piazza Maggiore, destined from the beginning to the civil and commercial activities of the city. Surrounded by characteristic porticos that date prior to the XIII century. To this day it preserves the urban influence received in medieval times. Closed off on the northern side by the fifteenth century Loggia dei Notari, now the Town Hall, it was once bordered on the southern side by the palazzo of the Visconte, which no longer exists. Next to the Loggia, the Clock Tower rebuilt in 1790, where the bell from the castle tower was placed . 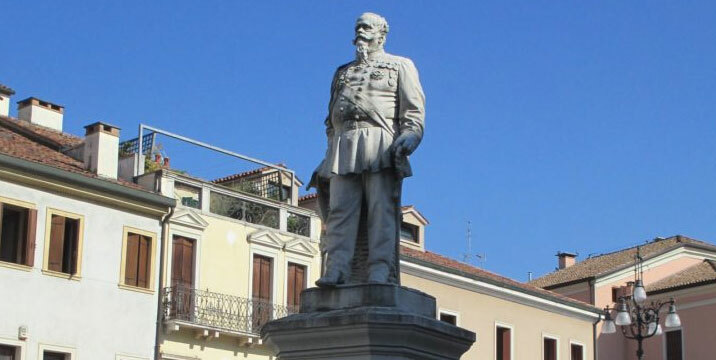 On the Listòn, a slightly higher area in the centre of the square, paved in 1506, stands a monument to King Vittorio Emanuele II, sculpted by Giulio Monteverde in 1881. 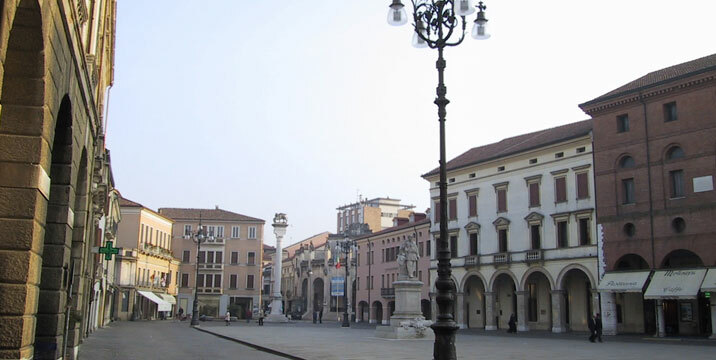 The the square is surrounded by many Palazzos: the Renaissance Roverella, now the seat of the Art Gallery of Concordi, Palazzo Roncale dating back to 1555, the Accademia dei Concordi building; in the background the palazzo of the Austrian Gaurd House dating 1853 and the column of the Lion of San Marco, built in 1519 in Istrian stone, raised in favour of the Venetian Republic and rebuilt in 1881 after being demolished by the French in 1797. 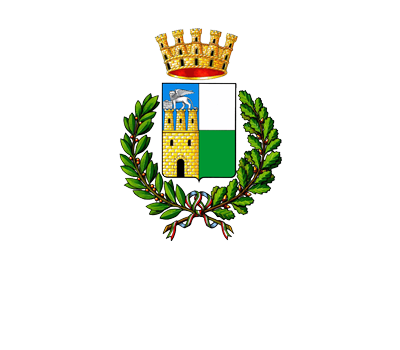 The day after the death of the first king of Italy, which took place January 9, 1878, the city of Rovigo wished to pay homage by dedicating the Piazza Maggiore to the late king and erecting a monumental statue in his honour. The task was entrusted to the artist Giulio Monteverde, and the work was inaugurated on 25 September 1881. The King is displayed examining a couple of battle plans leaning on a trench chest, both depicted on the right of the king. The monument respects the official conventions sculpture aesthetic of the time.